The board leader of Norway’s publicly funded business development organization Innovasjon Norge (Innovation Norway) has abruptly resigned in protest. Per Otto Dyb quit last week after alleged political meddling by Norway’s new business and trade minister, Torbjørn Røe Isaksen, prevented him and the board from dealing with an alleged lack of confidence in Innovation Norway’s chief executive, Anita Krohn Traaseth. Newspaper Aftenposten reported Monday how not only Isaksen seems to be protecting Traaseth from dismissal, but also how he is defying his own Conservative Party’s principles regarding the management of state-controlled companies. The conflict raises important issues about the independence of their boards, which are supposed to be free from political control. Aftenposten reported that various members of the board of Innovation Norway no longer have confidence in Traaseth, who was appointed as top executive at the large organization shortly after the Conservatives won government in late 2013. Some believed Traaseth, a former head of Hewlett-Packard in Norway and active blogger, was hand-picked by Prime Minister Erna Solberg. 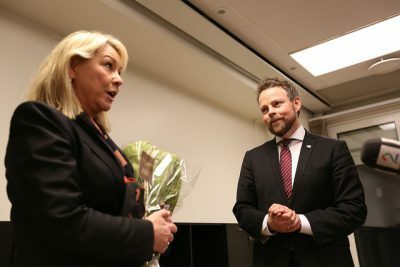 Traaseth has sparked controversy in the years following her appointment in 2014, however, over her management style and her efforts to restructure Innovation Norway, which receives more than NOK 7.2 billion (nearly USD 1 billion) in taxpayer funding a year. It’s charged with boosting innovation and developing business nationwide, especially in outlying districts. It also promotes tourism and export industry, and was formed in 2003 (also when the Conservatives were part of a government coalition) through a merger of the state’s former business and development fund, export council, tourism council and agency to help entrepreneurs. Traaseth has attracted lots of attention, not least when she claimed on her personal blog in November 2015 that there allegedly was an internal effort at Innovation Norway to harm her reputation and that of other “new key people” at the organization. She’s been accused of using “divide and conquer” management techniques and Aftenposten reported that some board members believe she has created conflicts, confrontations and division herself. Several employees at Innovation Norway reportedly have opted to quit because, according to Aftenposten, it was difficult to disagree with Traaseth. Both board members and officials at the ministry that officially owns 51 percent of Innovation Norway (the other 49 percent is owned by municipal governments around the country) were also jarred last fall when Traaseth wrote a commentary, published in Aftenposten, in which she claimed that Norway’s oil production and climate policies are in conflict, and put Norwegian politicians into the “ostrich mode” of trying to hide their heads in the sand. Her commentary sparked reaction because it left the impression Traaseth opposed the oil industry, when she and Innovation Norway itself are supposed to remain impartial and support all Norwegian business and industry. 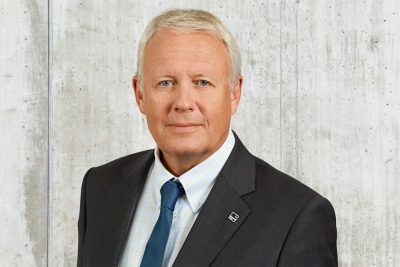 Aftenposten reported that the board reacted by holding meetings in January that dealt solely with Traaseth’s leadership and future as Innovation Norway’s chief executive. The ministry, under the leadership of former Business and Trade Minister Monica Mæland, was informed and reportedly responded that it was entirely up to the board to evaluate its CEO’s position. On January 17, however, Mæland was replaced by Isaksen when Solberg expanded and reorganized her government. When the board informed the ministry that Traaseth’s position would be the subject of new meetings last week, however, the ministry responded that it did not want the board to discuss Traaseth’s position the next day. Isaksen declined to be interviewed by Aftenposten, answering questions only via email. He confirmed the ministry stopped the board’s evaluation of Traaseth but denied there’d been any change in the board’s ability to evalute its chief executive. Rather, reported Aftenposten, it was because the board’s leader himself (Dyb) is due to be replaced in May when the second of his two terms was up. He’d been informed two weeks ago that he wouldn’t be nominated for re-election. The ministry apparently wants a new board leader to decide who to work with during the next period, and not the current board leader who’s about to leave. The ministry also now reportedly believes it would be “unfortunate” if both the chaiman and the chief executive were changed at the same time. Asked whether she could understand the criticism against her, she pleaded ignorance again: “I can’t have any understanding for criticism that has not been taken up with me.” She said she thought she had good relations with the ministry and had “no plans not to continue” as chief executive. As of midday Monday, the ministry itself had not issued any press releases about Dyb’s resignation or referred to the conflict on its official government website. Traavik, however, referred to a statement from the farmer and former Conservative Party politician who’s already been named as new acting board leader of Innovation Norway, Jørand Ødegard Lunde. She sent an email to Aftenposten Sunday evening in which she claimed that the board was not dealing with any formal cases of confidence or lack of confidence in its chief executive. The conflict as revealed to Aftenposten suggests otherwise, and sparked strong criticism from veteran political commentator Harald Stanghelle, who claims it effectively has put Innovation Norway under political administration in defiance of “important principles for state ownership.” The state also owns controlling stakes in companies like Telenor, Yara, Kongsberg Gruppen, Norsk Hydro and Norway’s biggest bank, DNB. There was no further immediate reaction from Isaksen, nor was there any comment from Mæland, who now serves as government minister in charge of municipal governments.